The real secret behind shine for cleansing light-coloured and blonde hair. Wash after wash it leaves hair feeling wonderfully silky and manageable, bringing out all of its shine and enhancing its natural reflections. 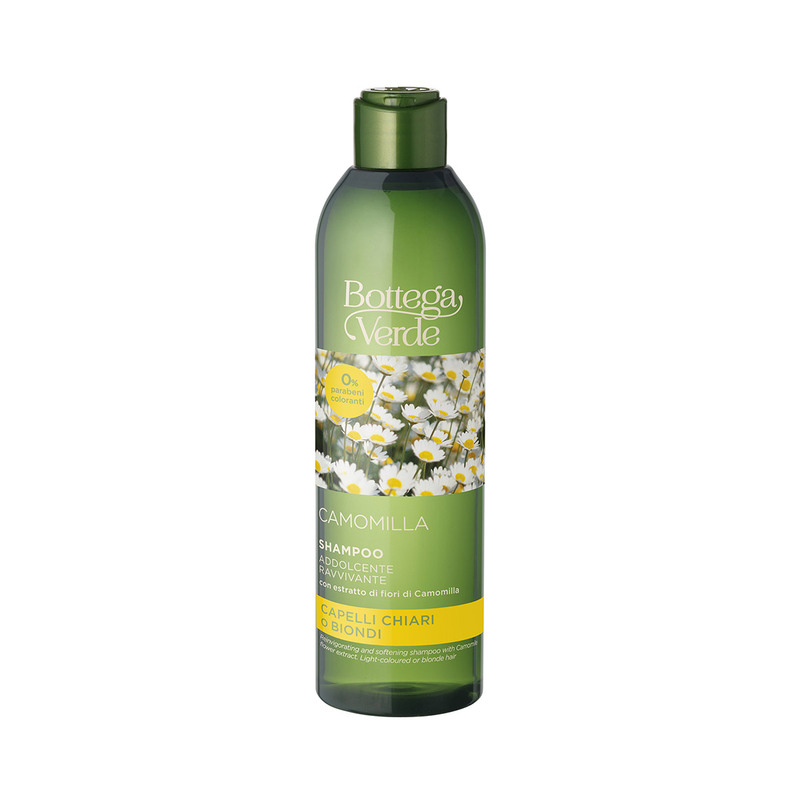 An ideal product for frequent use, with a special light, gentle formula that is enriched with Camomile Flower extract and Wheat Protein, to leave hair extremely soft but not heavy. The real secret behind shine for light-coloured and blonde hair. Wash after wash it leaves hair feeling wonderfully silky and manageable, bringing out all of its shine and enhancing its natural reflections. An ideal product for frequent use. Hair/Skin:For everyone with fine, light-coloured hair. Direction for use:How to use it: Apply the product to wet hair and rub it in to produce a soft lather. Rinse with plenty of water. Characteristic:Free from parabens and colourings.